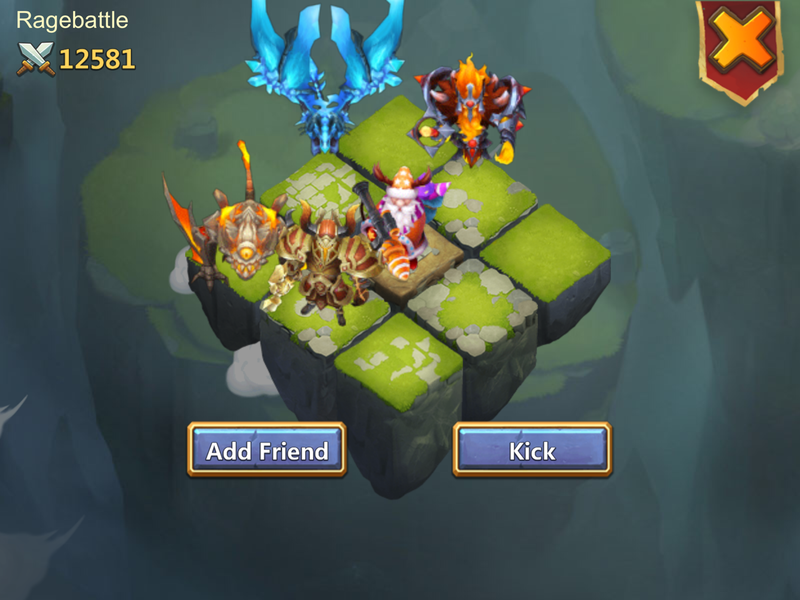 Just wanna share with you guys our Lava 3 set up, we hardly lose atm. The fastest we can do is with 44 secs left. First of all, it is important to know what the main goals are and then which heroes to use. I. 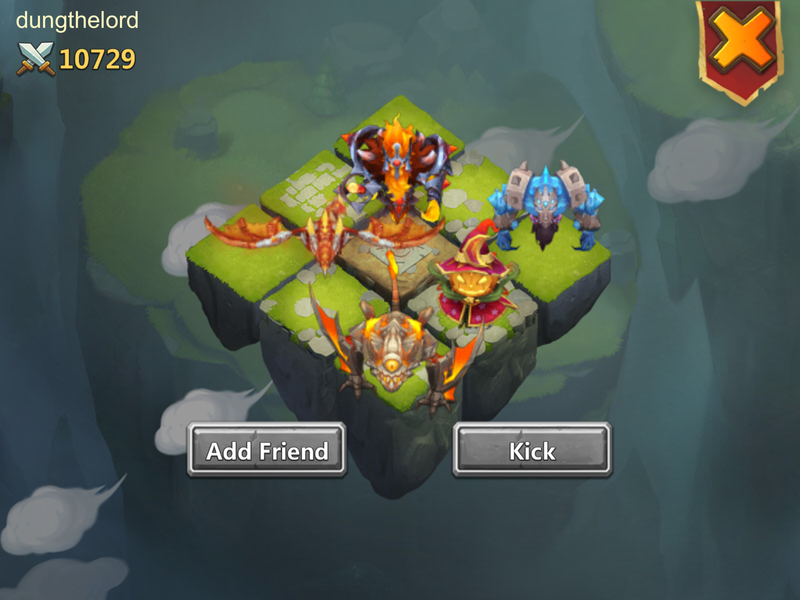 Main goals: Unlike the other Lavas, Lava3 has 4 capped demons at 4 corners, 2 of them have tremendous amount of HP and it takes ages to kill them. So it is important to survive (a few dead heroes means failure), do a lot of damage (center team) and have high DPS (the other teams, it doesnt mean the center team can't have high DPS). 1. 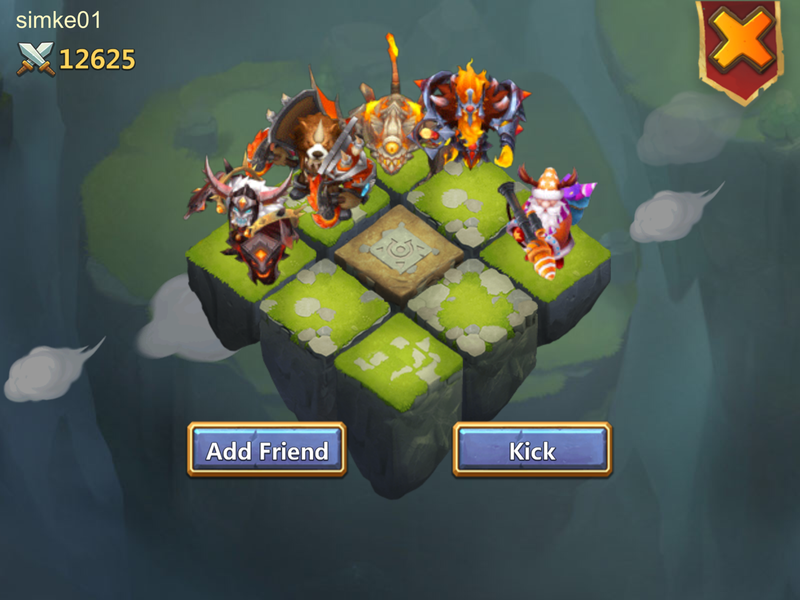 Survive the Bottom Left Dyno: don't underestimate this guy, i believe he has 8/8 self destruct, when never he dies, he will take a few of your heroes with him. So those heroes that are near to him should have revive. If half of the your center team is dead after the explosion, it is already too hard to win. 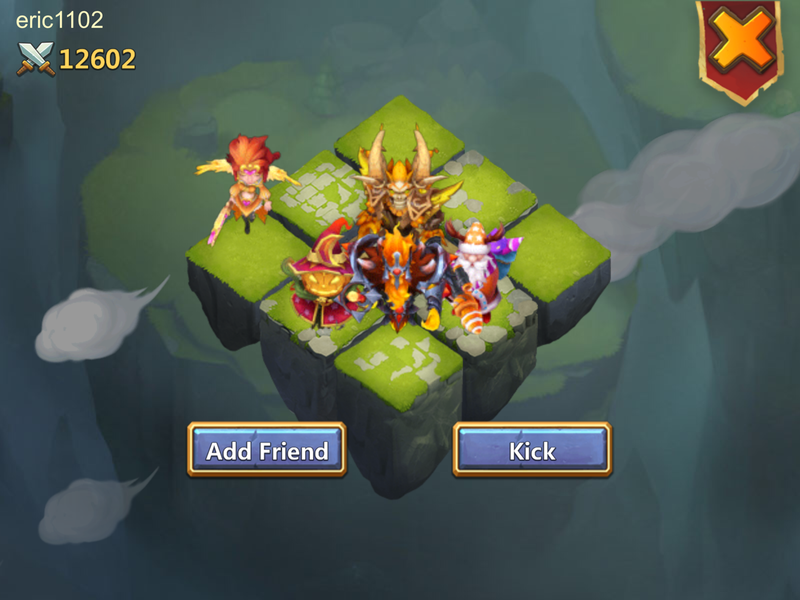 Your center team will face him right after Lava 3 starts. 2.Kill the center boss as soon as possible. Why? After the mentioned Dyno, normally, your center team will face the boss. This boss has a huge amount of HP and he is there for a purpose. (i) he takes a lot of damage from your team (2) he is THE TOP RIGHT DYNO PROTECTOR, i really believe that this top right DYNO has high level of BLADESHELL, probably, the only one, cause whenever he dies, our global proc heroes (PK, SM, Santa...) never die. His strength: super high HP, has 8/8 revive. His weakness: he is uncapped, can be stunned. 3.Kill the Top right dyno right after the boss: yeap, just above the boss, he walks down to your team most of the time. The earlier you kill him, the less likely that your heroes, especially global proc ones, will die. 4. Kill the AC on the right side of the map: i think most of place 3 teams on the right side of the map, the AC used to kill us once in a while. Once we started to use Artica, he doesn't proc anymore. This blue dragon is the solution but not the one for low budget or F2P players. Strong PDs, Ghoulems, Grims helped us to kill him but not 100%. Some players use Revit Mino to reduce his energy, just a few recommendations. 5. HIGH DPS: well, together with point 1-3, the other 3 teams should have high DPS and are able to prevent the right Demon from procing and/or remove his shield. Since we have scatter heroes, we use them, he can only proc once in the beginning. Using GF, Artica is also very effective, especially GF with only 3 CD secs. Pixie is another alternative, she has both scatter and the ability to debuff (remember she only hits 3 targets RANDOMLY, so she might not bring the desired result everytime). Scatter is only useful if your teams have enough, otherwise, it is pointless. -Santa, evo2, 9/10, 6/8 scatter, 3/5 revive, axe of strife. I ran a few times with K9Max, he used Devo BT and Devo Drax in this position, just awesome. BT increases the damage taken by the boss and Drax has 8/8 DS. Boss dies in no time. -Iceman: 7/10, 5/8 slowdown, 4/5 scatter. Very important, the top and left demons are perma slowed and they can’t attack when our heroes approach them. -Aries: evo2, 10/10, 5/5 revit, 3/5 revive, unknown. Revive on Boss and Bladeshell on Dyno don't work under Calamity. Our success rate reduces when we remove this hero. -Ghoulem: evo2, 9/10, 5/5 revit, 4/5 BW, axe of strife. -Treantaur: evo2, 8/10, 5/8 revive, 3/5 revit, Victor. -Val evo2: 9/10, 5/5 revit, 4/5 scatter, Victor. Revit Val helps to boost up in the beginning. Val is better than Cupid here because she can boost up position 2,3, 4 at the same time. Since, we've been doing pretty well, we don't try SM, GR anymore but i know many teams use them. There is a reason why we still use Santa, his proc has high DPS and he doesn't proc often, which means, he doesn't always die due to Bladeshell. -More damage in the center: Devo BT, use Drax. There is more than one way to skin a cat. The above is simply what we are doing and we are always looking for improvement. Life is short, so sweep. So, no Pixie's to drop the Demons' shields? I was told you couldn't finish in time without having Pixie or Arctica. Nope, we have enough scatter, he can't proc. well he only procs at the beginning because our Ghoulem proc faster that what our scatter heroes can hold. Maybe once, maximum twice (rarely). We used to have one Pixie but if your scatter isnt enough, Pixie with her CD can't really do much, and there are so many targets in the map, Pixie's proc is random, you cant always remove demon's shield. I have never ever heard of a Lava 3 team using Pixie. Yeah, especially since 5/8 Scatter is not that much. Dont need scatter in Lava 3 mate. Arctica to stop them and the PK on each team is enough to stop the demon from proccing. The problem is the Vlad and Beast Tamer in the top right next to the archdemon. As i said, i have NEVER heard of pixie being used in Lava 3. Note, the original post was before Grim and Pets. Pixie was the only other debuffer at the time. Sounds extremely hard to me! Impressive, no arctica. But i mean why not just find someone with an arctica? Youre in seas right? Im guessing lots of guys there have one. We've been farming together since lava 2. Can'd do that just for one Artica ;). Lol i had a team for mesa4 for a long time. Then lava rewards were changed and 2 of us left for a stronger group. 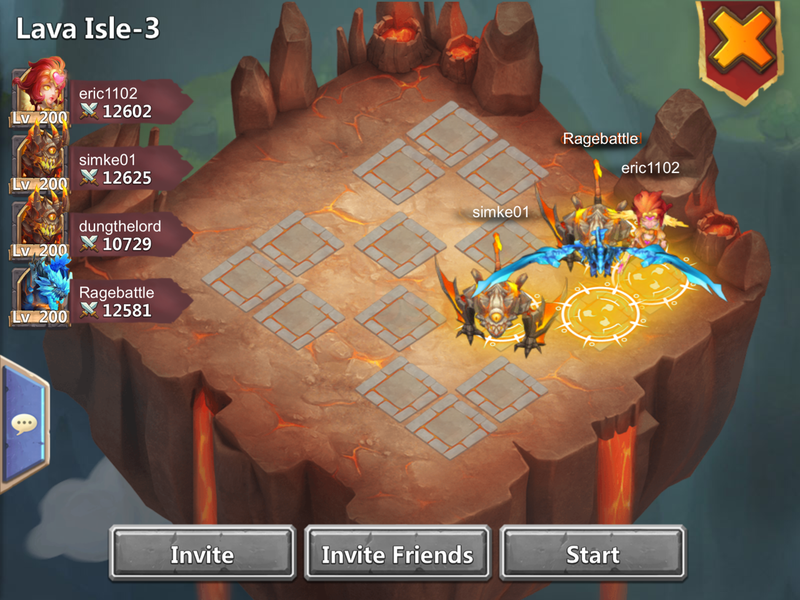 Then lava 3 came and one person voluntarily left/ quit the game and the funny thing is the weekend right after one of our team members, the one that was part of my first group, got an arctica AND a 5revite on him. But we have our teams set and the revite arctica isnt even used lol. Before the person left we had no arcticas btw. One person with an Arctica is not going to be able to service (so to speak) a whole guild. We have several in our guild with Arctica and I'm STILL looking for a non-Arctica solution. This may be it, but I'm still a few weeks from trying it. simke01 can I add u in game? VIVO LA MIA VITA A UN QUARTO DI MIGLIO ALLA VOLTA! TheLord, I am revisiting this book-marked thread. Care to update? Have you replaced all these Santa's with SM or GR at this point? And Molt seems to be there just for the Scatter. I will update soon, it has changed quite a lot already. I am liking BT in the middle more and more. :). Also did a few runs with K9Max, he used BT and Drax in the middle, awesome heroes. Wow! Look forward to that. Does no one use eye of Garuda, I always see it refreshed back to back so it possibly doesn't stack but triggers after each other.